We are a community school and we view our community as a central part of our learning process. Coláiste na Ríochta has built up very strong community links and we see our students as part of the community and therefore we want to encourage active community involvement. Civic, Social and Political Education is a course in citizenship education for Junior Cycle students and will make up part of the Well Being component of the new Junior Cycle Framework. CSPE provides students with the space to learn more about themselves, their communities, the state and the wider world. This is achieved through the study of seven concepts; Rights and Responsibilities, Human Dignity, Stewardship, Law, Democracy, Interdependence and Development. The study of the subject offers students ample opportunity for active learning and promotes communication and team-working skills. Vital life skills for the 21st century. Its' final assessment, at a common level, gives 60% to a report on an Action Project in which all students participate equally. Over the years students of Colaisté na Ríochta have organised fundraisers for a variety of good causes, beach clean ups, tree planting, litter collecting in the community, guest speakers and trips to Limerick Prison. Complete a week's work experience in a local business/ enterprise. Visit a local enterprise, i.e. Kostal Ireland in Abbeyfeale/ Ballygowan Water in Newcastlewest to explore the activities of the business and write up a report on. Visit Tarbert Power Station (owned by Southern & Scottish Energy) as an example of a successful company. 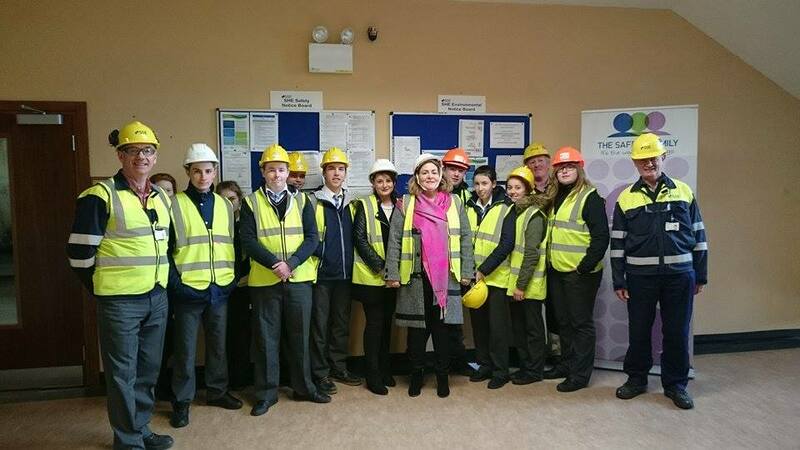 Here our students participate in a guided tour of the station; find out about the type of work undertaken at the plant; receive help & advice regarding what to put in a Curriculum Vitae & complete mock interviews with employees of the power station. The above are examples of how the LCVP programme at Coláiste na Ríochta has helped to cement valuable & long-standing links to our local community. In addition we also have strong and historic links with community agencies that work with us to provide support and guidance to our students, agencies and networks such as the LINK project, Listowel Family Resource Centre, Family Support Workers, Kerry Diocesan Youth Service; KDYS.Youth Justice, Drugs and Alcohol workers, Mentor Programme/Youth Worker, North East West Kerry Development: NEWKD. x-ist@nce youth café:Listowel Community Centre, Tralee Institute of Technology ; Access Department and Kerry ETB.